Roger Rideout began playing lead guitar and singing in a local Northampton band ‘Jam’ in 1973 (not to be confused by a Woking outfit fronted by Paul Weller some years later during the burgeoning punk rock movement). His bandmates were school friends Chris Day (rhythm guitar) and siblings David (bass) and Kevin Haskins (drums). With Day shortly to be replaced by another local lad, guitarist David Stretton, ‘Jam’ began playing the local club and pub circuit and built up a sizeable following. A change in musical climate however, promoted a change in direction for ‘Jam’ which ultimately led to its demise. The Haskins brothers would initially continue to work together as ‘Grab A Shadow’(with Stretton) before joining forces with guitarist Daniel Ash and vocalist Peter Murphy to create Northampton’s most famous export the glam / goth pioneers BAUHAUS. Roger’s musical journey took a back seat to some degree whilst he created a very successful furniture business, but he continued when he could so much so that he became sound engineer for Northampton band August Bank Holiday. He also had stints in Ignition and Memory Lane until 1983 when he was approached by midlands band and highly acclaimed Beatles Tribute act Accrington Stanley, whom he is still playing with today. We (Accrington Stanley) are best known as a Beatles tribute act and me being left handed was perfect as a bass player in a Beatles band! The band have appeared on BBC and ITV television as well as radio playing both their own material and Beatles covers, Roger was invited by an American band and assorted session musicians to play bass and keys on a series of Beatles covers in Abbey Road studios, London, in studio two in fact where The Beatles recorded most of their Abbey Road output. In the late ‘80’s Roger set up his own recording studio, initially a very basic affair but this is now a fully equipped hi-tech studio that he uses to write and record, amongst other projects he has recorded and engineered tracks for Hank Marvin for his Songs From Evita set. Of late Roger, David Stretton and their original bass player David J (Haskins) were re-united (the first time they had played together in 40 years!) briefly when they played a faithful rendition of The Kinks Lola together at The Clissold Arms (birthplace of The Kinks) in London and most recently Roger and David Stretton have collaborated to record covers of their former bandmate’s (David J) I’ll Be Your Chauffeur and Fingers In The Grease both tracks appear on the just released Kanreki a 60th birthday celebratory album for their original composer. A lifelong Beatles aficionado, (It was Roger who brought This Boy to ’Jam’ resplendently (with David Stretton) recreating Lennon and McCartney’s trademark harmonies) he recently fulfilled his dream by playing in Liverpool’s prestigious Cavern Club. 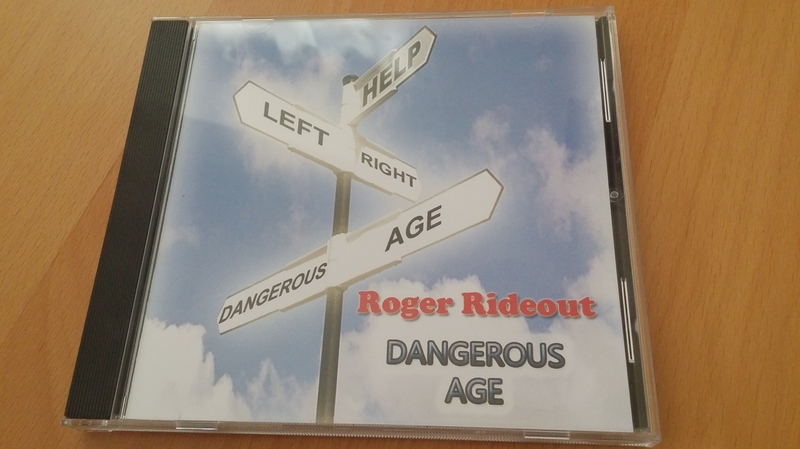 With Dangerous Age, Roger has produced the ultimate driving record, an obvious tip of the hat to the 1960’s but with a 21 century twist. Dangerous Age fuses lush harmonies with rock guitars, swathing keys, subtle Hammond motifs and classy lead hooks. This eleven track album contains all original material, as well as self-producing the record, Roger plays every instrument, sings every lead and every harmony. So open up your heart and as he says on Always On My Mind…let him in. To get your copy please send your inquiries to Andrew Brooksbank.